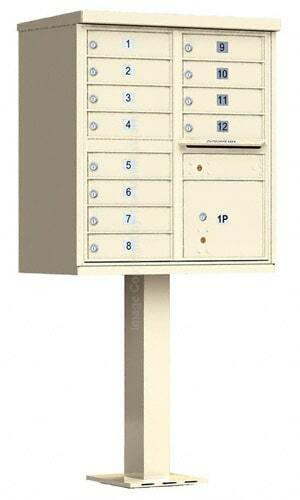 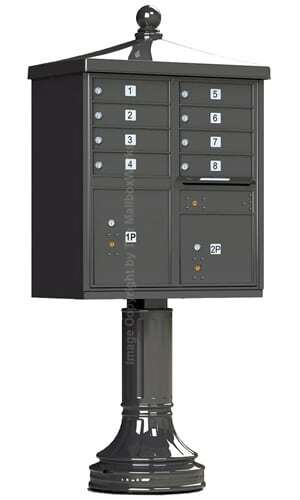 Auth Florence Commercial Type III, 16 door CBU Commercial Mailboxes are the world’s safest cluster box units. Safe mail delivery and protection against identity theft isn’t a luxury and these cluster mailboxes are the best. 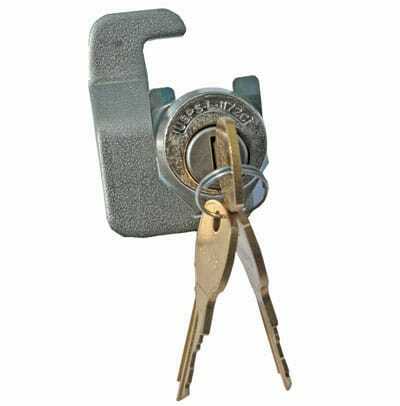 Licensed by the United States Postal Service and ready for both commercial and residential use. Made of high grade aluminum and stainless steel; virtually indestructible loading doors have interlocking and overlapping welded seams. 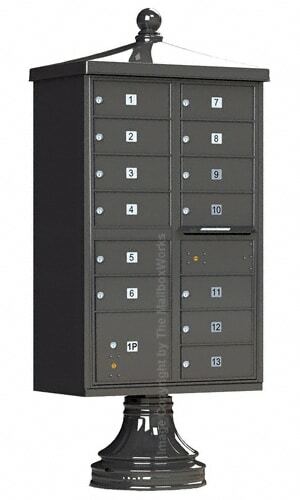 Label individual tenant doors using fast hold silver number decals or have them custom engraved. 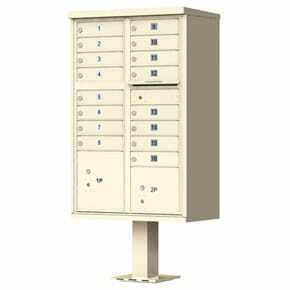 Outdoor commercial CBU mailboxes are powder coated with a durable, rust, scratch and dent resistant finish. 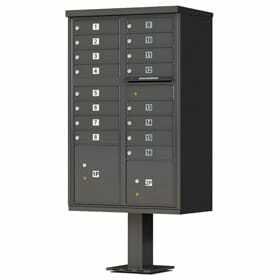 Available in 4 attractive color choices. 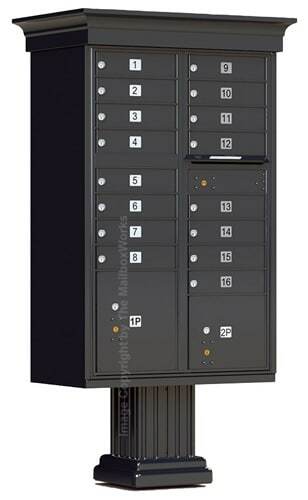 Special options are available call for details: Outgoing mail slot plug and private master lock available for units without USPS service. 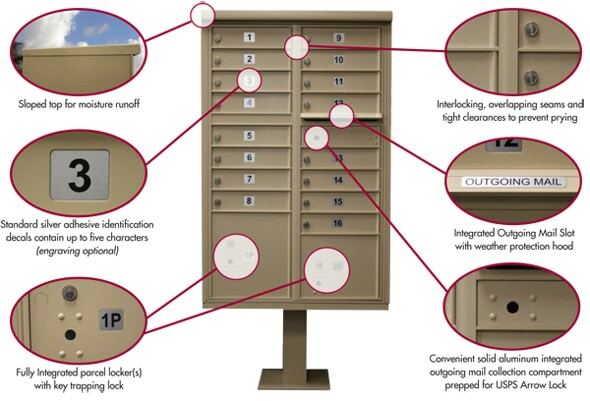 Buy USPS approved vandal-resistant CBU cluster mailboxes. 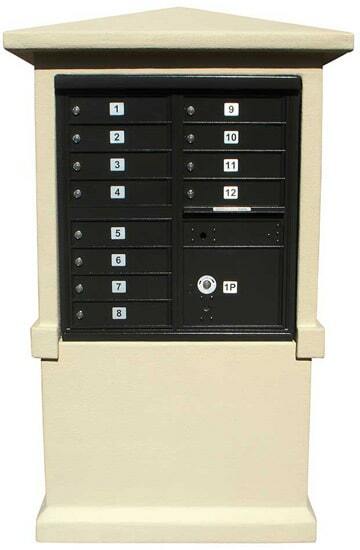 Your tenants will thank you! 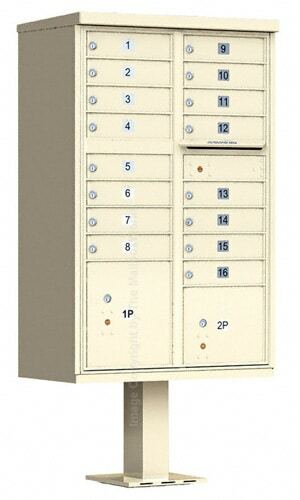 Need help ordering or still have questions about 16 door CBU cluster mailboxes? 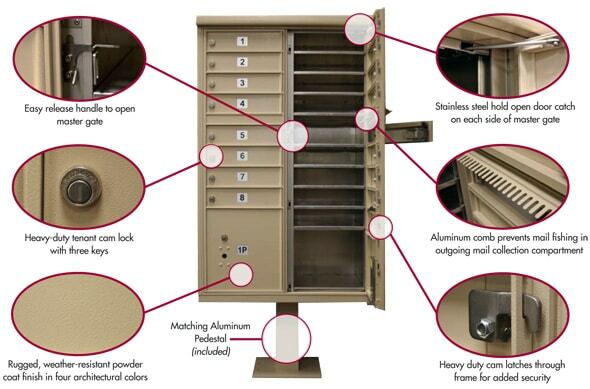 Call us or chat with a customer care rep if you have any questions.